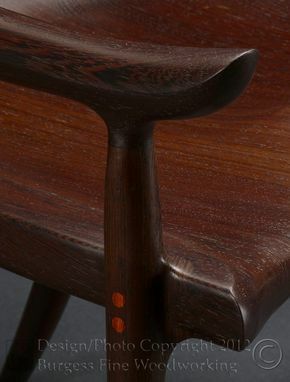 This client was given a homework task: look through furniture-picture books that I provide and tag anything they like, such as a color combination, the shape of a leg, or the pattern of a veneer. 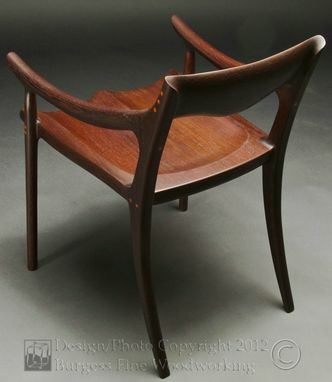 He saw Sam Maloof's famous 'Low-back Dining Chair' and wanted a direct replication. 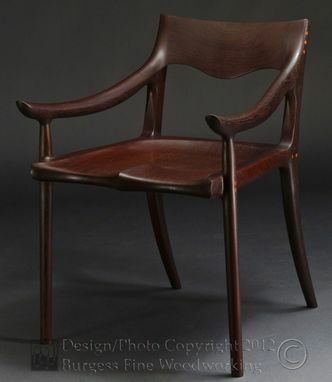 Having been asked to recreate a masterpiece, I decided to make two chairs: one for him and the other for "practice". 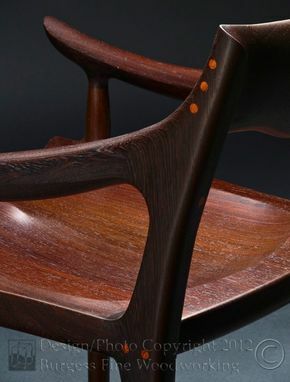 I made the practice chair from Cherry, as seen here, because it is much easier to work. The desk that accompanies it can be seen here. 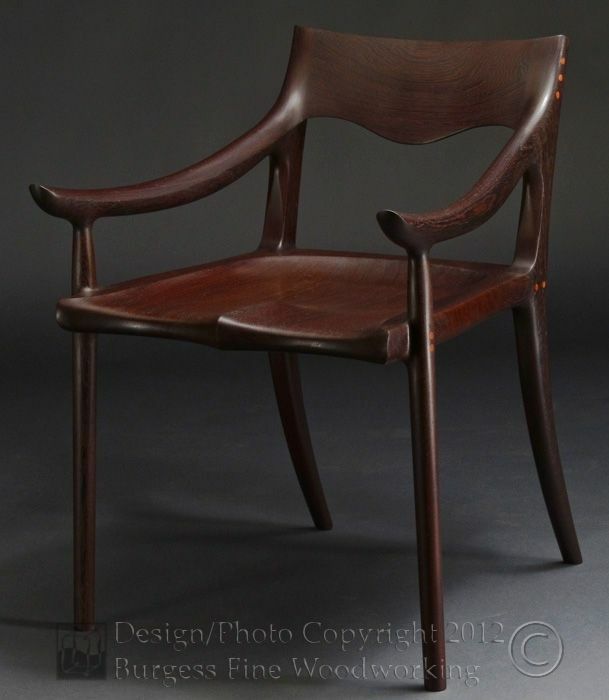 Sam Maloof achieved the fame and success that most woodworkers aspire to accomplish. This design was one of his favorites because of its comfort and graceful styling. 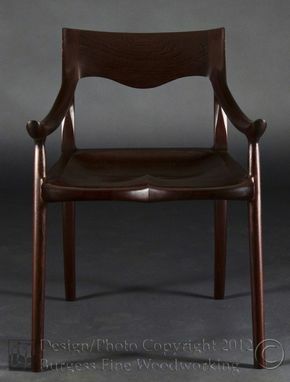 Many have tried their own interpretations of this chair, but in honor of the great master, I have attempted an accurate replication. I think Sam would approve of my efforts. 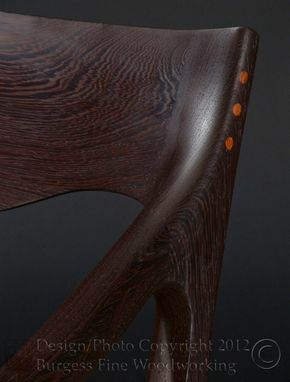 Wenge is a very difficult wood to work, especially carve. A power carver was used to hog away the waste, before fine tuning with scrapers and sandpaper. Sam supplemented his traditional joinery with large screws; I chose Bubinga for the plugs to contrast with the Wenge.